Close the Skills Gap with Outsource Manufacturing - P.D. Peterka & Associates, Inc.
U.S. Manufacturing is well-aware by now of the widening skills gap of capable tradesmen and skilled workers. Like other areas of manufacturing such as medtech, automation, oil and gas, and technology, machining is in dire need of trained professionals to take on the rising demand for U.S.-produced products and materials. In previous blogs, we’ve encouraged our readers to look into supporting apprenticeship and training programs in their area to help build up their own local pipeline to keep talent coming in. However, not every business can afford to wait for new skilled professionals to train and begin work. Though we absolutely continue to encourage manufacturers to support STEM and technical training in their communities for long-term stability and growth, some businesses must also look for solutions they can implement NOW. This is where outsource manufacturing can help fill the gap. As your business grows, and your existing staff begins to need augmentation in order to handle all of the orders you would like to take on, hiring new staff in the current climate can make keeping up with the industry difficult if not completely unrealistic. 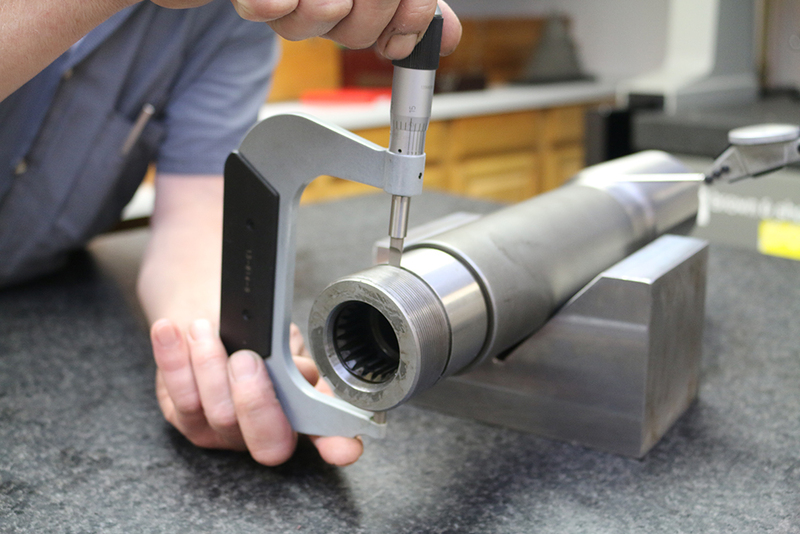 It can take months to find the right skilled machinists to fill your gaps, hindering growth and forcing potential customers to seek out your competitors in order to meet their own production requirements. However, working with a trusted, experienced outsource manufacturing firm can give you access to the skilled professionals you need, quickly. So while you’re supporting the growth of the total talent pipeline through training programs and community engagement, get your immediate needs met by working with outsource manufacturers. For more information on tools to compensate for the skills gap right now, contact PD Peterka, and we’ll keep your business moving forward.